Summer always leads to autumn. That’s true isn’t it? I can count on this. In every year there will always be a summer and there will always be an autumn. Besides the other two seasons, winter and spring, is there anything else that always happens? Oh sure: daytime and night and with these on average we get 365 such experiences in a given year. That’s always the way it happens. The cool thing about painting, being an artist, is the opportunity to create an autumn experience anytime: my spring can be filled with autumn if I feel a need for a walk in a yellow wood. Time of the year really doesn’t matter in my studio. Nor does the time of day. 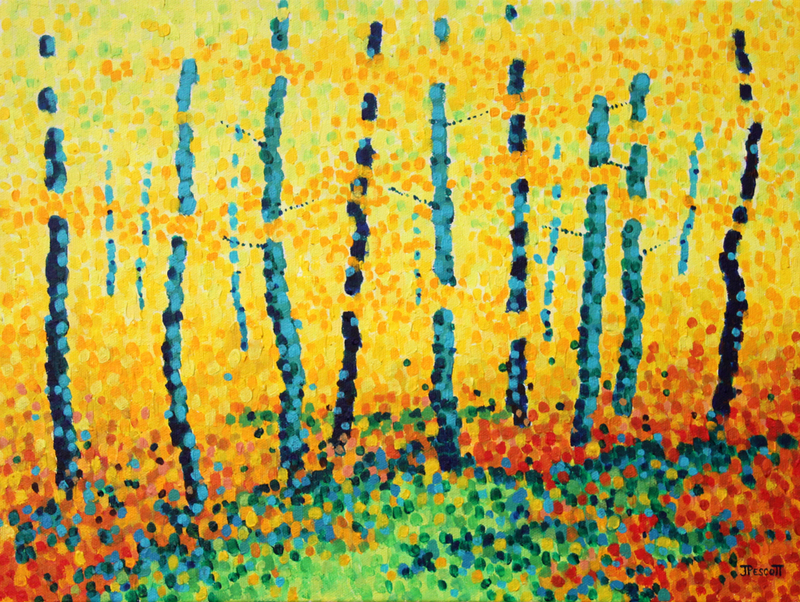 Note: this painting, “In A Yellow Wood” will be seen at “Limitless Expressions”, an international exhibition presented by VividArts Network at the Vogue Studio Gallery in Toronto, Ontario: July 19 to 29, 2012. 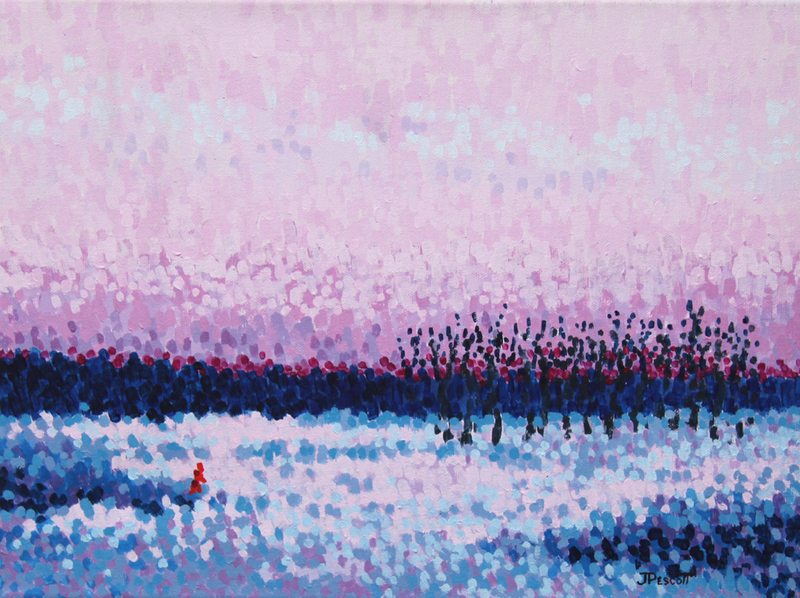 “Spring River” will be at the Toronto Art Expo. Toronto Art Expo, is a premier event celebrating the value of fine art in our lives. With over 200 distinguished Canadian and International artists and galleries from 12 countries, this weekend of art has become a destination for selective art connoisseurs from all over North America and Europe. Is the Toronto Art Expo your destination?